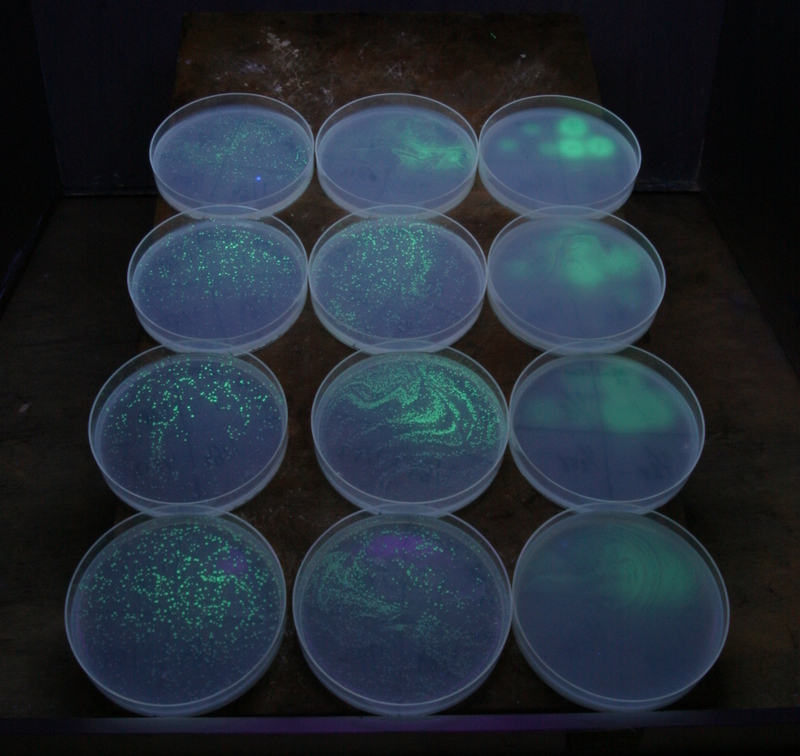 It seems that yesterdays experiment was successful in giving us some information we were looking for. 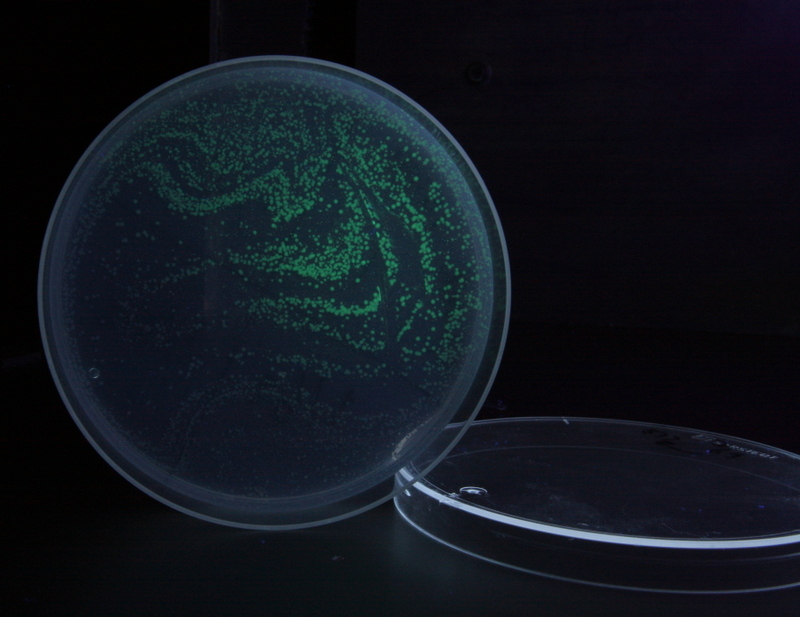 The results are nice glowing GFP pixels ‘painted’ with dropping arabinose on the bacteria plate. The rows represent the time when the arabinose was dropped on the plate, being 1, 2, 3 or 4 hours after the plates were made. 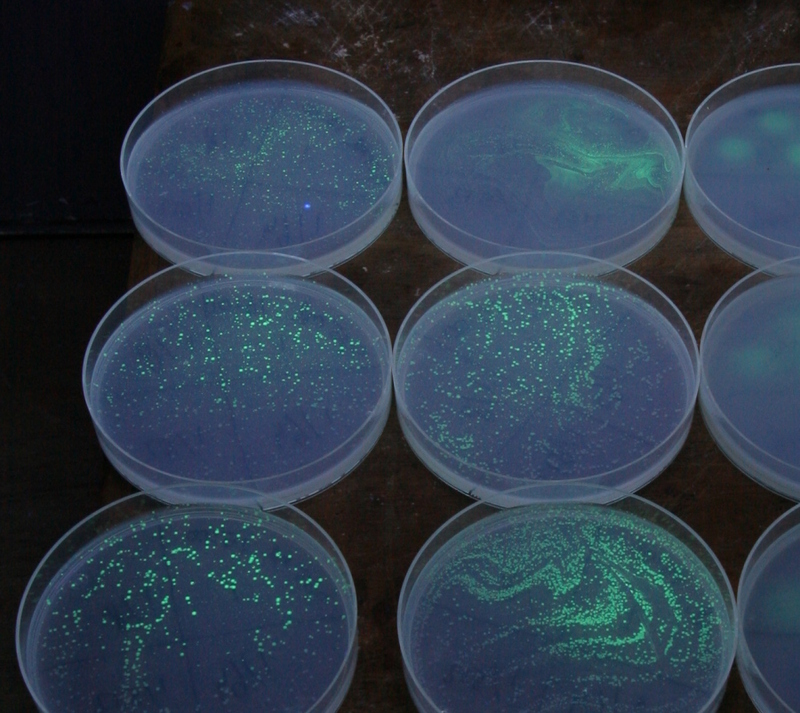 Each plate had 4 different kinds of concentration of arabinose dropped on it, 3 drops each. The descending concentrations go counter-clockwise, with starting at the top left section of each plate. It’s clearly visible that only the highest concentration gives good results. We should also note that it is clearly possible that some bacteria was killed as it was put in too hot agar when preparing the samples. 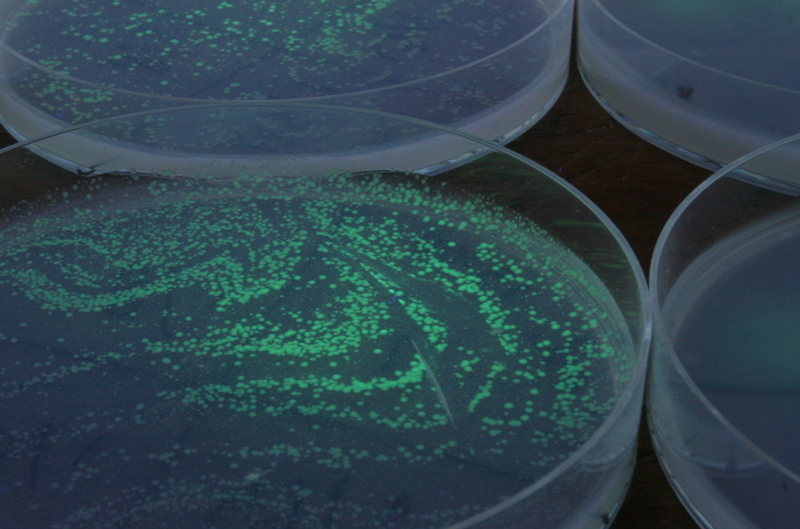 It also seems that the bacteria was not mixed properly with the agar, hence the scattered colonies instead of a homogeneous loan of bacteria. Well, in terms of handwork, there’s still way to go. As a result of this experiment, we prepared a new one, which tests for adding arabinose into agar that is different in solidity. 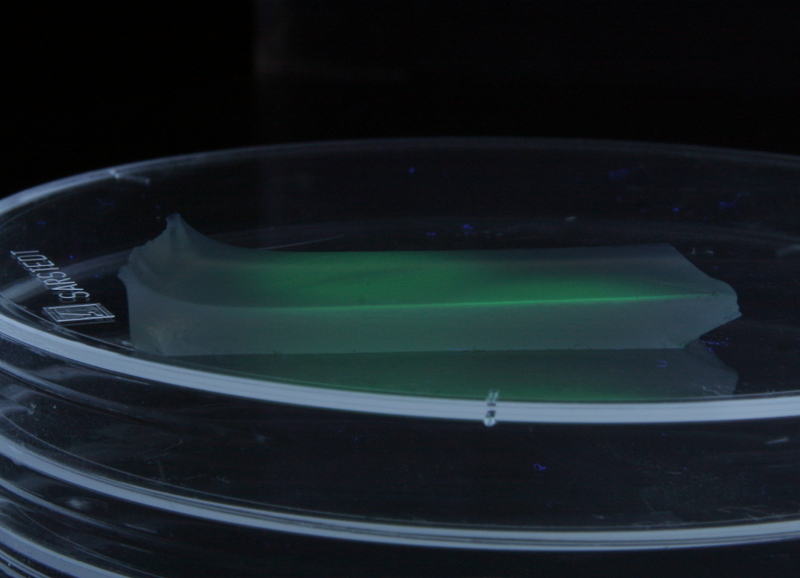 We’re also experimenting with injecting arabinose into the agar, instead of dropping it on top.